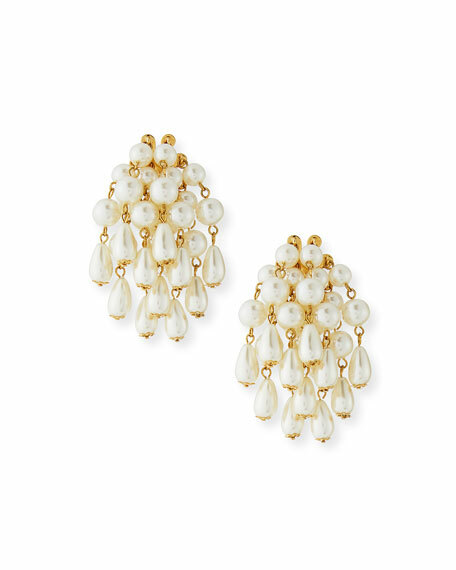 Lele Sadoughi simulated pearl beaded earrings. 14-karat gold plated brass hardware. 8mm and 10mm acrylic pearly beads. Dangling 8mm and 15mm teardrops. For in-store inquiries, use sku #2650106.